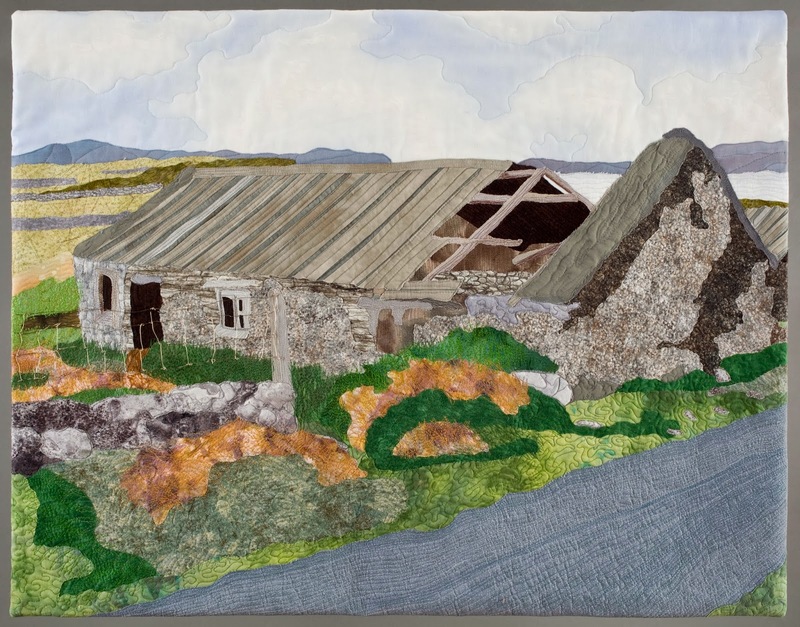 The 2013 Quilt and Fiber Arts Festival opens on this Friday, October 4. I am pleased that my art quilt, Roots, makes it debut at the festival. Last year I was able to attend the festival and it is really worth seeing. The display is extensive and on view in a number of venues in La Conner. The community really gets behind the annual show. I loved the stories that accompanied many of the quilts. The museum itself will have a number of exhibits on view as well including Regina Benson's From Nature's Studio. Regina's work is amazing and if you have never seen any in person, that alone is worth the trip to La Conner. Hope that you will have a chance to attend. The festival is from October 4 - 6. If you would like more information, you can find it on this web page. That quilt is so very beautiful, Judy! Congratulations! What a lovely quilt and it was such a nice experience watching it come together on your blog. Taking a Break .....well, sort of.